Your age will determine how frequently you should get an eye exam. Generally, people between the ages of six and 60 should have an exam every one to two years; those over 60 should have an eye exam annually. The purpose of an eye exam is not only to check your vision but also to evaluate your general eye health and detect eye diseases that typically have no symptoms in their early stages. Eye exams can help detect cataracts, glaucoma, and retinal disease, as well as diabetes and high-blood pressure. The affiliated optometrists of Wise Eyes Optical follow recommendations of the American Optometric Association for a comprehensive eye exam. What can I expect from my visit with the optometrist? The independent doctor of optometry at Wise Eyes will perform several tests on your vision and will screen your eyes for retinal and corneal disorders. Afterwards, the optometrist will discuss your test results, explain your prescription, and give you a better understanding of your overall eye health. An examination includes an internal and external examination of your eyes for signs of possible disorders, such as cataracts or retinal problems; an evaluation of your current eyeglass prescription; a test of your ability to see sharply and clearly at all distances; a test for your eyes’ ability to focus light rays exactly on the retina at distance and close-up; a computer measurement of your internal eye pressure to test for glaucoma; a test for eye coordination and muscle control; a test to measure your eyes’ ability to change focus. On your prescription, your Wise Eyes-affiliated eye doctor will list the vision correction necessary for your left and right eyes. If there is a plus (“+”) sign before your prescription, you are farsighted and have trouble seeing things up close. If there is a minus (“-”) sign before your prescription, you are nearsighted and have trouble seeing far away. The higher the number is after the “+” or “-” sign, the greater the vision correction you need. 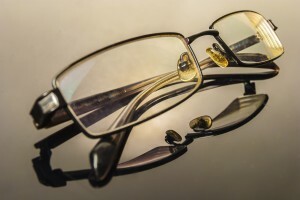 Can I extend the life of my eyeglasses? Remembering a few simple things about taking care of your glasses can extend their life. 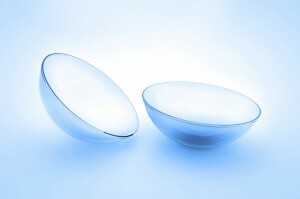 Keep your lenses clean by washing them twice daily in warm water or with special lens cleaner. Dry them with a soft cotton towel or special eyeglass cleaning cloth. When not wearing your glasses, keep them in their protective case. Never rest them face down on their lenses. Always put on or take off your glasses with both hands, grabbing the temples midway on each side and sliding them backwards over your ears. This will help them keep their adjustment longer. Don’t wipe your lenses while they are dry. Wash or blow off dust or grit instead. Never use paper products to wipe glasses as they can scratch the lens. Never use silicone tissues on plastic lenses. Over time, your frames will need adjusting. While many people believe they can make necessary adjustments themselves, it is always a good idea to visit your Wise Eyes professional to ensure the proper fit and comfort. 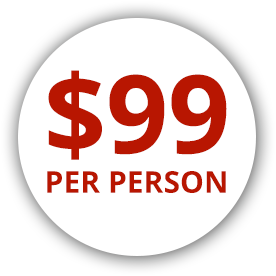 You are welcome to Wise Eyes anytime for FREE adjustments and minor repairs. We recommend getting your frames adjusted within 30 days, and again within 6 months after purchase. Is UV protection really necessary? UV light is harmful to your eyes and is believed to contribute to the formation of cataracts. If you are exposed to a large amount of UV light, whether from being outdoors in the bright sunlight or from spending a lot of time in offices with fluorescent lighting, you are at risk. Can I get sunglasses made with my prescription? Yes. You can have high-quality sunglasses that protect your eyes from the sun and correct your vision as well. Prescription sunglass lenses can be added to most frames.